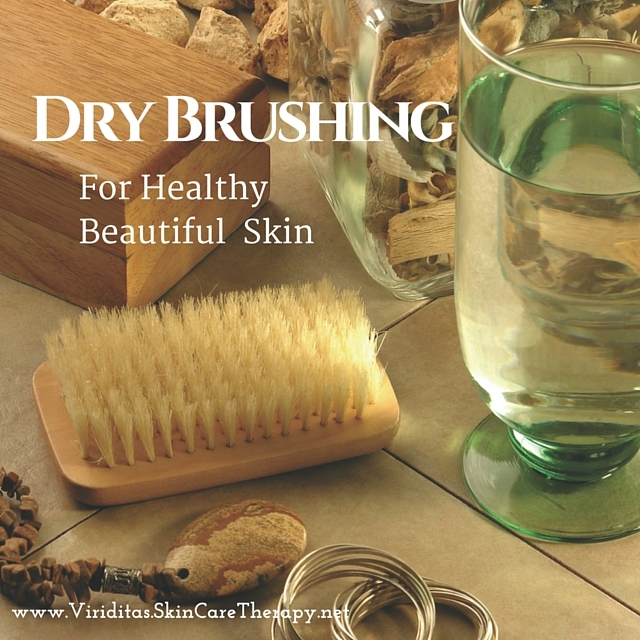 One of the best things you can incorporate into your health and beauty routine is dry brushing. Not only will the brushing gently exfoliate dull dry skin, allowing better penetration of moisturizer, it can also give your immune system a big boost. When done properly (gentle upward strokes, towards the heart, focusing on inner parts of joints: where lymph glands are most concentrated) dry brushing goes way beyond beauty. The upward movement (always toward the heart) stimulates the flow of lymph. Our lymphatic system is like the body’s garbage removal highway, and is a major part of the immune system. Lymph carries away metabolic waste, bacteria, viruses, excess fluid and all kinds of other gunk the body doesn’t need anymore. Unlike the blood (heart), the lymph has no pump, and relies on muscle movement, gravity, and osmotic pressure (via deep breathing) to flow. Dry brushing can boost that flow! Dry brushing also stimulates peripheral circulation (surface blood flow). Not only can this help speed healing of damaged tissue and improve scars, but it brings oxygen and nutrients resulting in glowing skin. Feeling crappy and under the weather? Dry brush. Do you have swollen ankles? Dry brush. Heavy, tired feeling legs? Dry brush. Over indulged at that party last night? Dry brush. Dry itchy winter skin? Dry brush. Puffy eyes? VERY GENTLY brush the sides of the neck and under the chin, all the way down to the collarbone. Headache? Drink plenty of lemon water, have some magnesium and dry brush! Have you ever tried dry brushing? Let us know in the comments. Sign up for our newsletter here, and follow us on Facebook for lots more helpful skin care tips.